Age: from 7 to 16 years of age and CIT program starting at age 17. 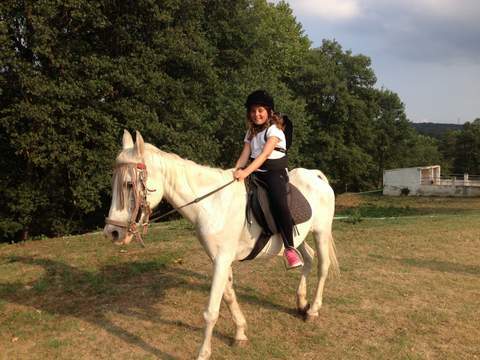 During the Summer Camp we have our horses: Blanca and Estrella. Two horses used to be with children. 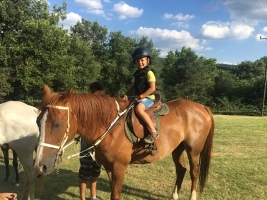 During the Summer Camp we are going to walk them, to comb their hairs, to put the saddle and we are going to horseback riding. It is a first contact with the horses. In the Summer camp house sorroundings there is an adventure park in the trees. There is the maximum safety and we are going to have a lot of fun jumping from the trees with the high ropes. 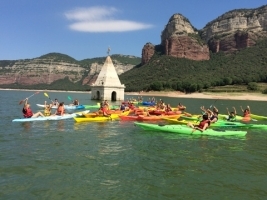 During the Summer Camp days we are going to kayak in the Sau water resort. We can sail enjoying the surroundings, we can relax and observe the landscape. DURING CONVERSATION TIME, CAN MY CHILD PRACTICE ENGLISH, SPANISH OR CATALAN? The spoken language during the day is English. 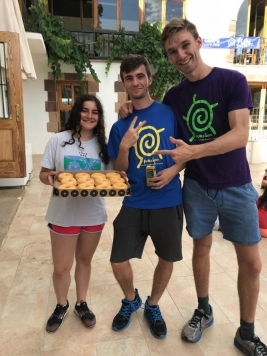 International campers can decide what language they want to practice during the daily three hours of language conversation (English, Spanish or Catalan). We do not use grammar books and we believe in the natural way of learning with the linguistic immersion. We look for the motivation to keep learning the language. 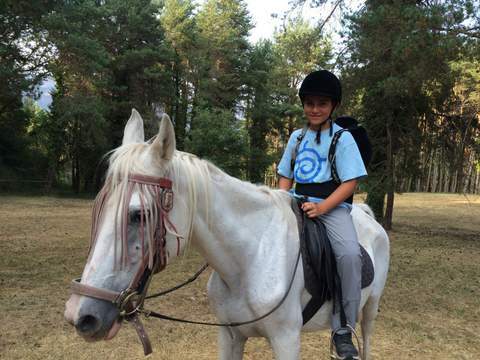 International campers enjoy our camp while they learn a new culture. During the three hours of conversation they can choose what language they wish to practice (English, Spanish and Catalan are the three options). 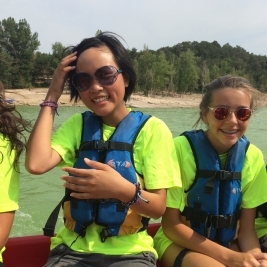 International campers can join our programs of overnight camps + sightseeing in Barcelona and Costa Brava. At camp every day campers have access to the internet lab so they can read and write emails to their families and friends. Also, every day the Fun and Learn web site is updated with photos of the day of the campers so the parents and friends can see what the campers have been doing. 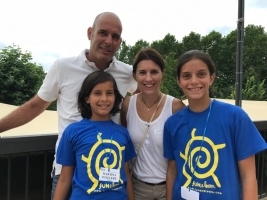 Parents are welcome to visit the camp the first day and spend some time in Spain while their children are at camp. Fun and Learn can provide you with information about the area and suggest places to visit such as vineyards, orchards, beach resorts, places to hike, golf areas and so on. Please, contact us if you would like to learn more about this option. transportation from Barcelona city center and airport is provided with an extracost. 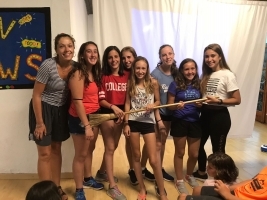 24 hour response counselors, medical assistance and group insurance during the journey and the entire camp program, Summer Camp in Spain maintain a trained 24 hour response team of counselors to handle any emergencies that may arise. During camp there is a phone number for parents to contact with the summer camp director. Our organization was created in 2001 and is well know in the Barcelona area of Spain. We are also well known in the southwestern area of New Hampshire. We have a relationship with Sargent Camp in Hancock, NH (USA) and a few of the pictures in our brochure are from Sargent Adventure Camp. The international participants live together with the Spanish participants during all the activities. The only time they are separated is during the three hours of conversation. During the rest of the day the groups of campers are dividied by ages. In the dorms boys and girls are separated by age and gender, not by language. During the meals the seating tables at the dining hall changes every three meals in order to give the opportunity to meet everybody at camp. During the Camp there are the following meals included: breakfast, lunch, snack and dinner. Coed, ages: From 7 to 16 years old and CIT(counselor in training) program for 17 and up. Join one of our camps in Spain or both of them. You can just register for the camp and come to camp with your family the first day or if you are from abroad you want to choose your program with transportation included. You will have fun while learning your foreign language! -Choose from 3 different programs for CITs age 17. Join us for the experience of a lifetime! At Fun and Learn we offer a coed camp for Fun and Learning. It's a linguistic and cultural immersion camp where we join European and North American cultures. 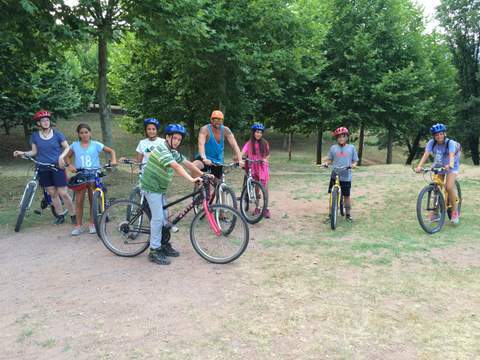 Live with Spanish campers near Barcelona up on the Pyrenees mountains and near Girona and the beach! PROGRAM #1 CAMP + SIGHTSEEING in Barcelona. The Camp is located in Massís del Pedraforca (11 days/10 nights) + SIGHTSEEING in Barcelona + Camp in Vilanova de Sau (8 days/7 nights) . 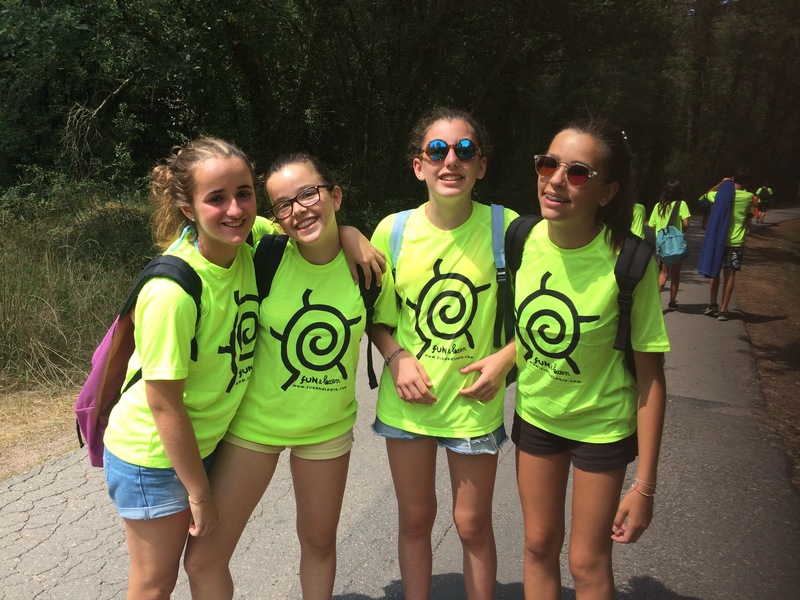 It's a perfect summer, the combination of participating in two different camps with a visit to Barcelona and going to the beach. Take 50 hours of class in the foreign language you are learning. Fun is guaranteed! DATES: from July 1st to July 14th in Massís del Pedraforca and from July 15 to July 22nd in Vilanova de Sau. 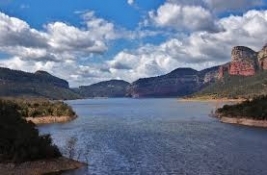 PRICE INCLUDES pick-up at Barcelona Airport, transportation to the summer campsites as well as any other ground transportation needed while in Spain, room and board at camp facilities, all the camp activities, 24 hours counselors in duty. PRICE DOES NOT INCLUDE airfare ticket and travel insurance is not included in the price. PROGRAM #2 CAMP & SIGHTSEEING. Camp in Massís del Pedraforca, 11 days/10 nights) + Barcelona Sightseeing (2 days/1 nights). 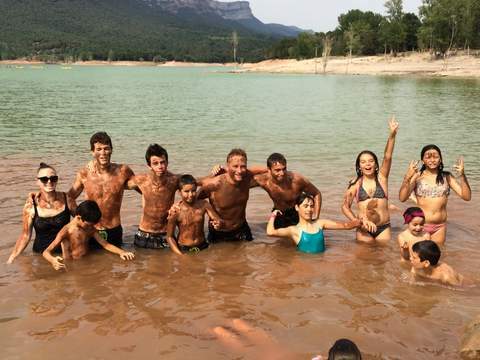 Join our camp in Massís del Pedraforca for 2 weeks, living together with Spanish campers and taking 30 hours of class in the foreign language you are learning + visit Barcelona and go to the beach. PROGRAM #3 CAMP & SIGHTSEEING. Start your experience visiting Barcelona and going to the beach Camp in Barcelona city (2 days/1 nights) and join our camp up on the mountains in Vilanova de Sau (8 days/7 nights). 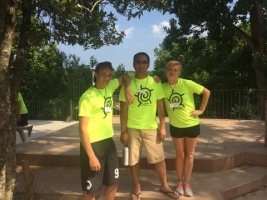 A Fun and intense summer learning Spanish, having a blast and living with Spanish campers. Take a total of 20 hours of the foreign language you are learning (Mountain and beach). PROGRAM #4 Summer camp in Massís del Pedraforca. Amazing camp with amazing activities. Have lots of fun and learn your foreign language taking 30 hours of class along with activities and campers. 100% fun non stop! PROGRAM #5 Summer camp in Vilanova de Sau. 8 days at camp in Vilanova de Sau. A perfect location in the mountains by a water resort. You will be living with Spanish campers. Join an amazing camp with amazing activities and campers. Have lots of fun and learn your foreign language taking 20 hours of class along with activities. 100% fun non stop! 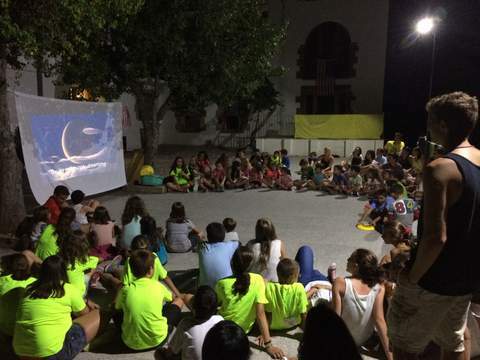 from July 1st to July 14th, 2018 at the camp in Massís del Pedraforca and then from July 15th to July 22nd in Vilanova de Sau living with Spanish campers and counselors. You will join with this option a counselor in training program. Registrations before 28/02/2019 EARLYBIRD DISCOUNT.